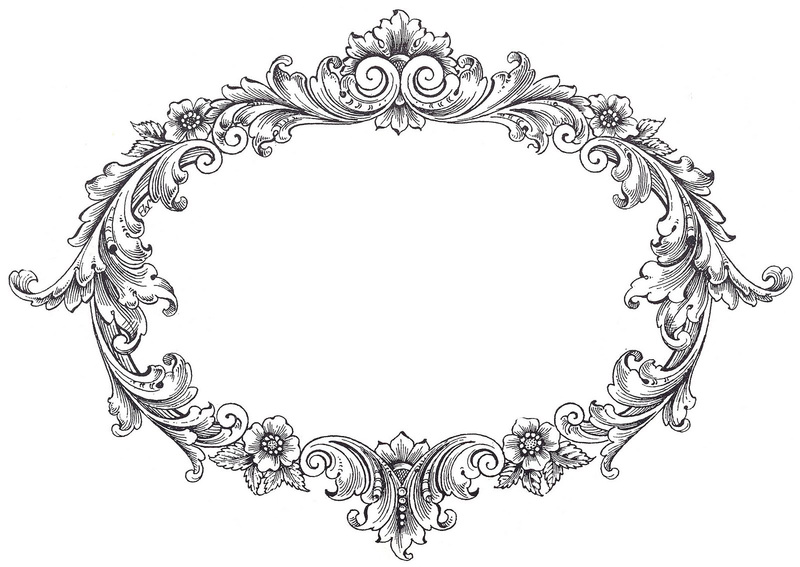 Today we have a collection of 23 Frame Clipart – Fancy and Ornate. All are free to use. Each one of the beautiful black and white drawings is highly detailed and decorative. Most are gorgeous engravings. 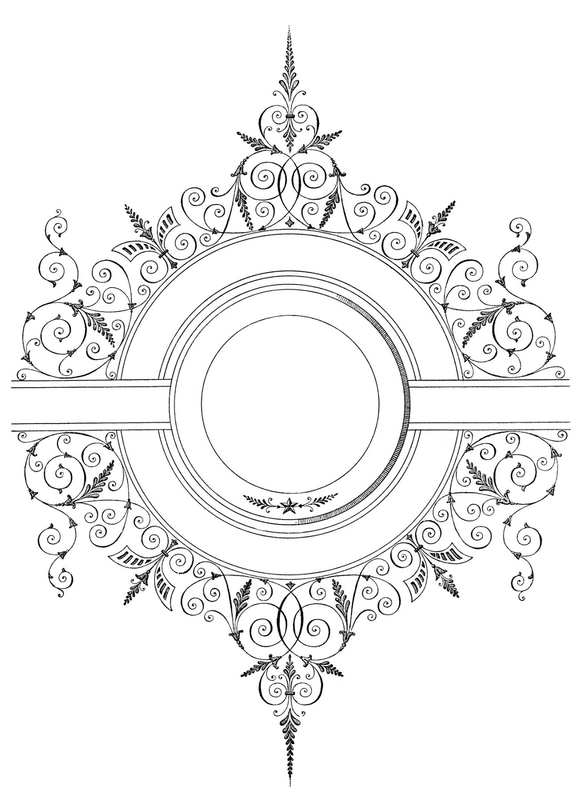 All have fabulous scrollwork and delicious carved elements. Graphic Frames are perfect for making your own Handmade Wedding invitations. They would also be great as labels or to add a Monogram to! Most would make awesome PhotoShop brushes. 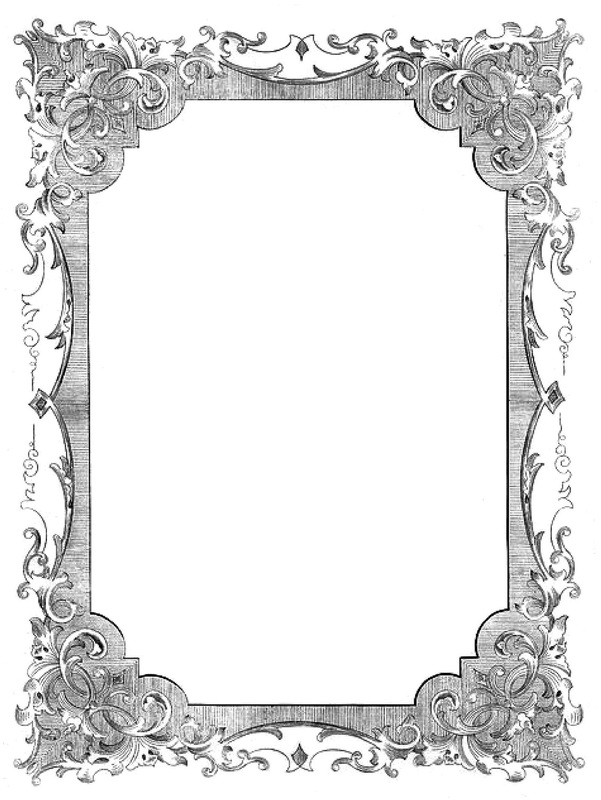 This is a wonderful antique Vintage Victorian Fanciful Frame, with loads Romantic Scrolls and Swirls. You can use this one vertically or horizontally. 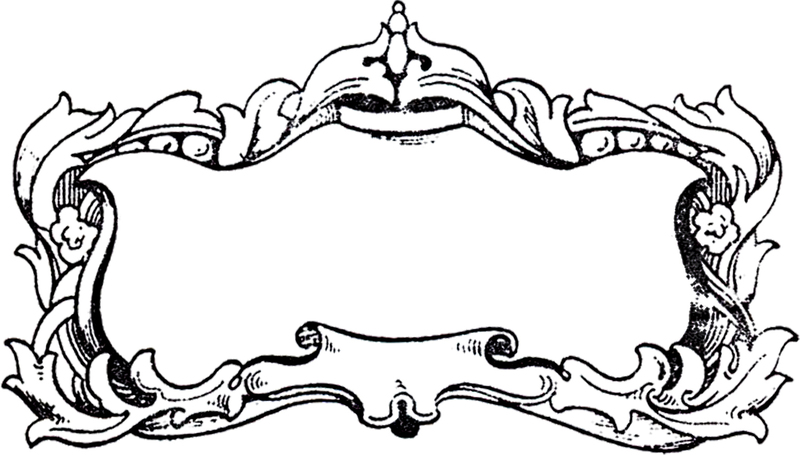 Above is a wonderful vintage picture frame image! This one comes from an antique French picture frame catalog. I love how beautiful and ornate the top piece is! Here we have a fabulous piece of Vintage Ephemera!! It is a wonderful page from a Circa 1880’s Poetry Book. I’m so in love with the gorgeous Ornate Frame on this Image. This dreamy looking Faux Bois Frames came from an Antique Shakespeare book! This is such a gorgeous engraving, full of Romantic Scrolls and Swirls! 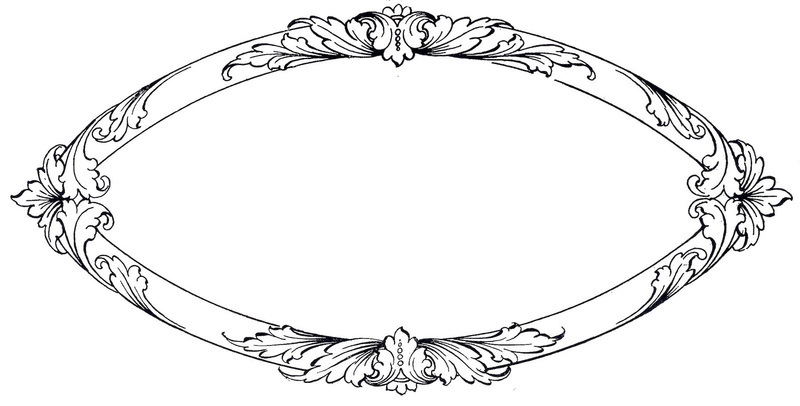 Pictured above is a beautiful Oval Graphic Frame that comes from an Antique French Document! I love all the pretty Flowers and Ribbons on this one! 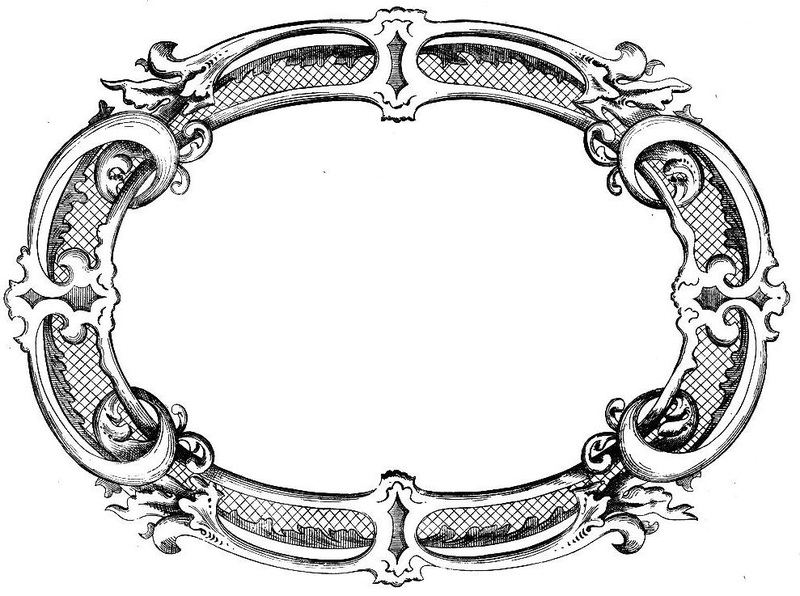 This lovely engraving is a wonderful ornate frame. It has so many interesting elements, including a crown, bust, painter’s palette and some type of coat of arms! Isn’t this a gorgeous Vintage Frame image? This one has a nice oval shape and lots of romantic ‘scrolly’ embellishments along with a few flowers. 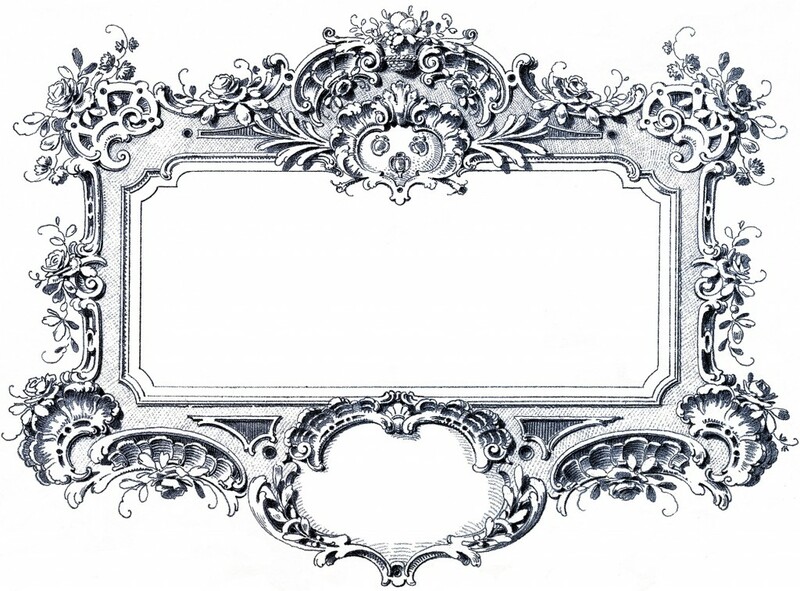 Here’s a wonderful ornate frame with crosshatched interior elements. Scrolls and carved sections make this one fairly masculine looking. Stunning!!! 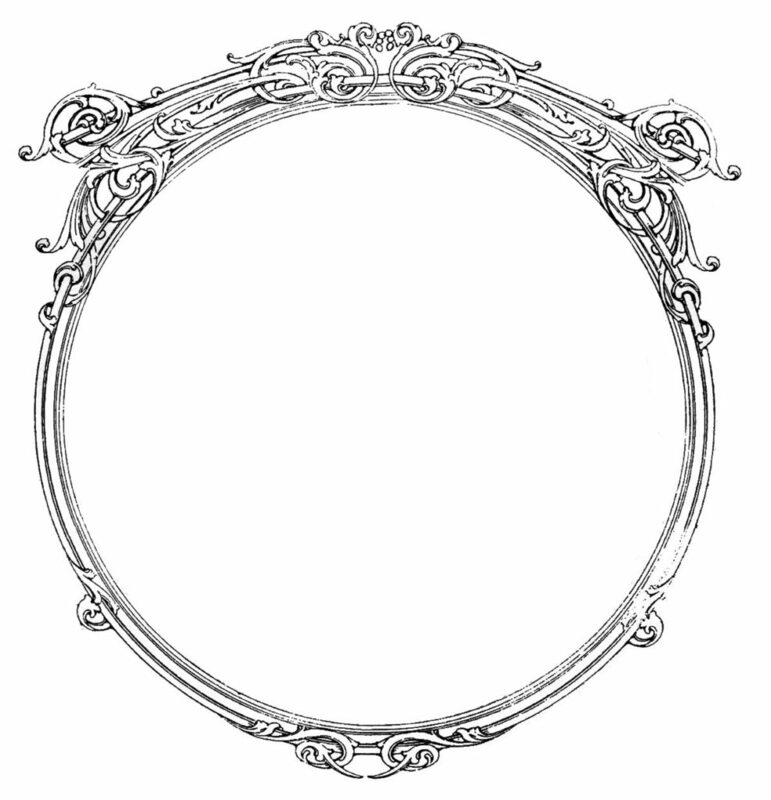 I adore this Vintage Oval frame!!! This one came from some Antique Sheet Music. This is a charming graphic frame from a vintage typography book! I really like the romantic scrolls on this one. 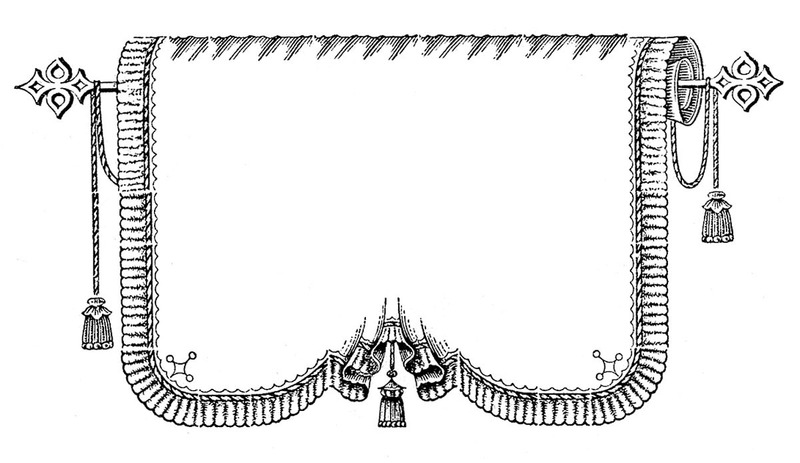 This particular frame is made to look like a curtain or drapery, complete with pleated edge and tassels! 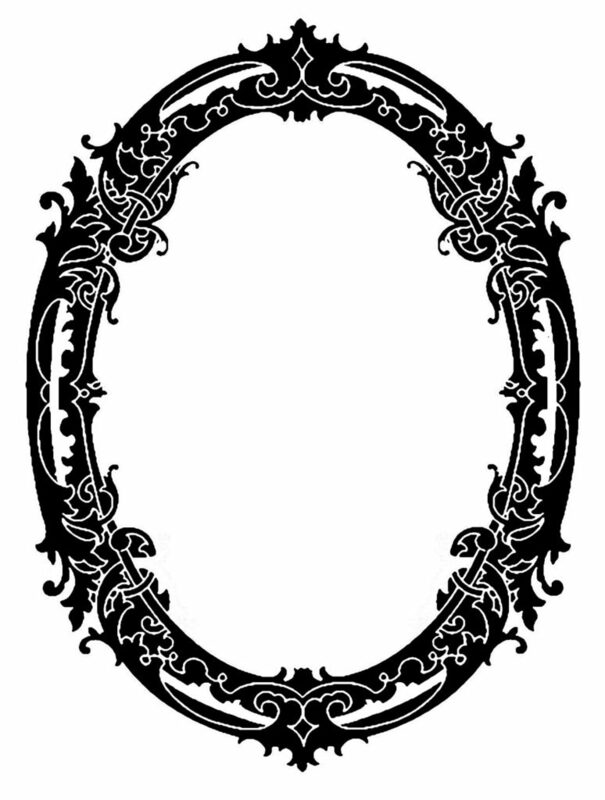 Pictured above is a very attractive French Graphic Frame! I love all of the embellishments, like the beautiful Jeweled Bow and the strands of Pearls. Quite fancy! I love how ornate the corners of this a pretty vintage graphics frame is. The little tassels are so cute! 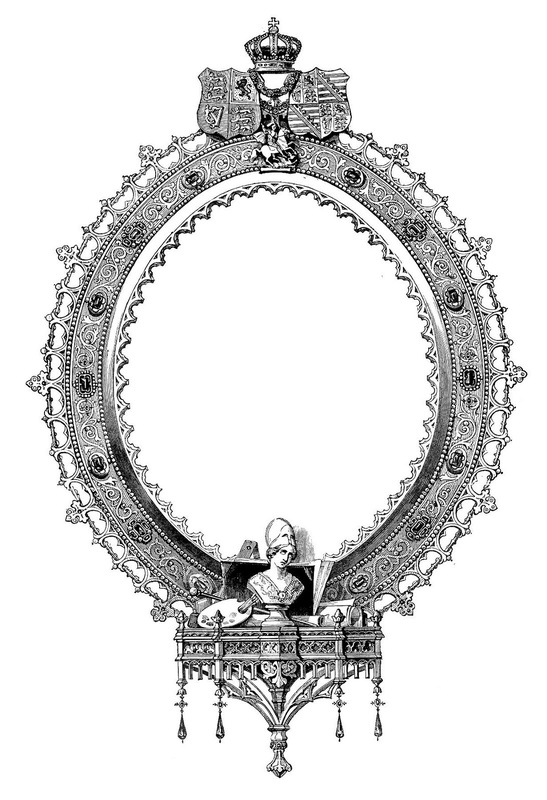 The Gorgeous Baroque Frame Image above was scanned from an Antique Ornamental Design book in my collection. 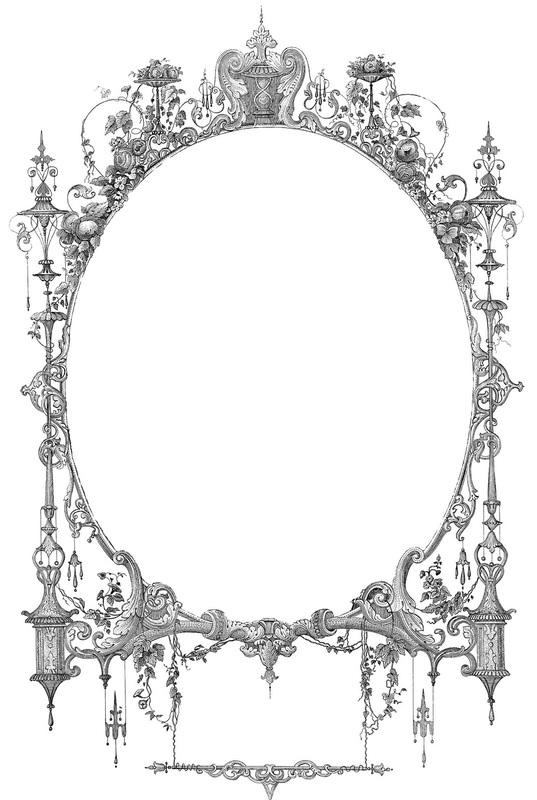 This is such an exceptionally beautiful frame; I love all the ornate scrolls and swirls along with the beautiful Roses on it! 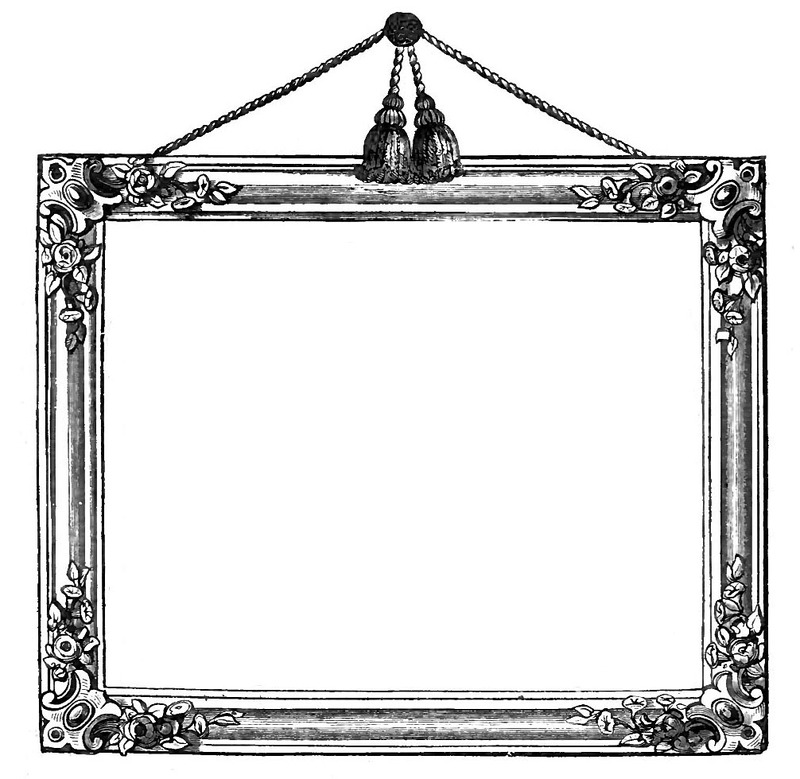 This Fancy Antique Frame comes from an Antique Jewelry Catalog! I just love how Ornate this one is with all its Curly Cues and Doodads. An amazing piece of work! 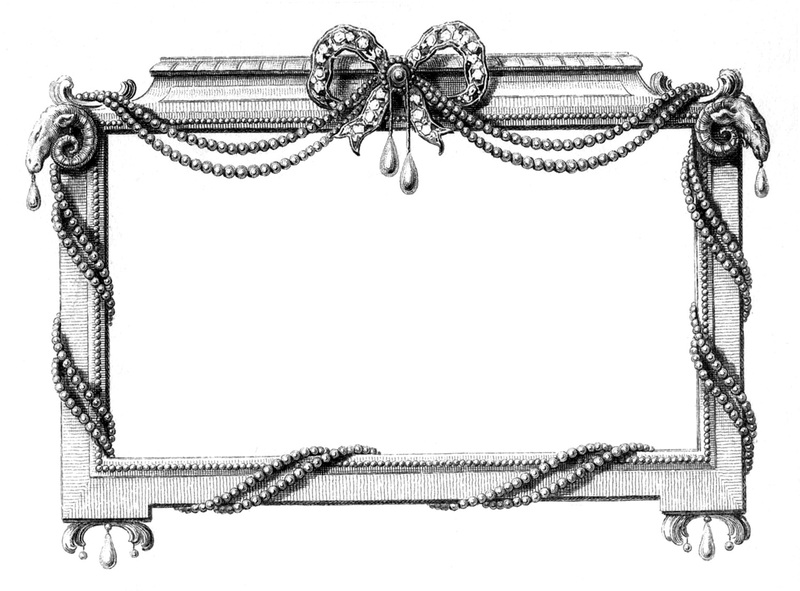 A fabulous antique engraved frame shown here is embellished with flowing ribbon garlands! 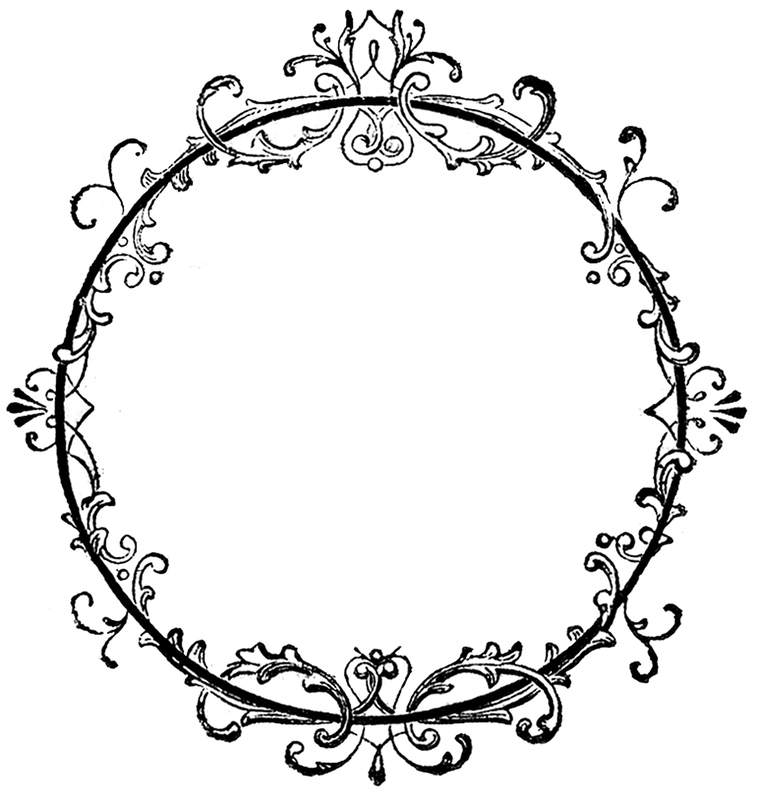 The scroll embellishments on this fancy round frame are so pretty! This is another one from my 1890’s Label Catalog. It was made for an Ink Bottle and has such a pretty lacey frame around it! Here is a pretty Floral Scroll Frame that I found on some more antique music. I just love all of the Romantic Scrolls! This Vintage Illustration is also from an Antique Design Book. 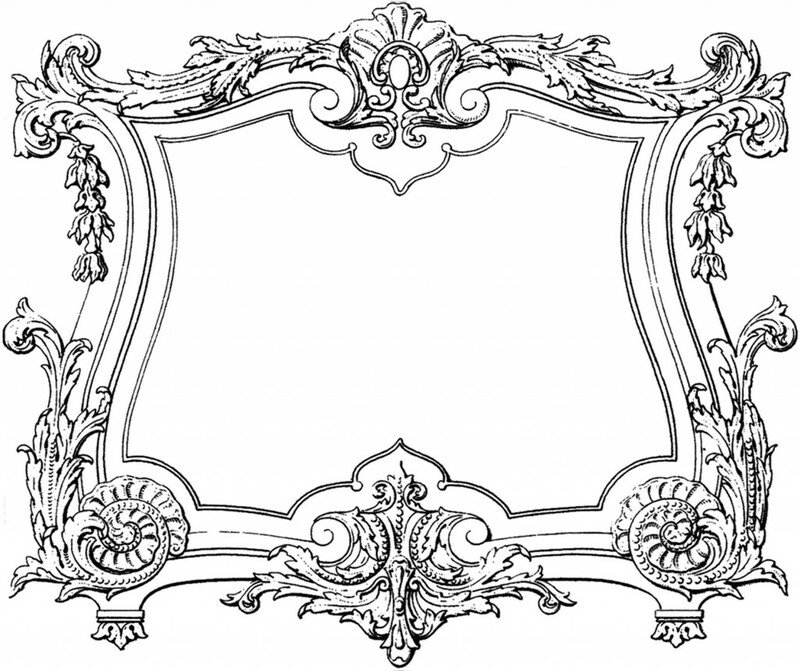 Shown is a gorgeous ornate Frame, which has all kinds of fancy Scrolls and Swirls etc. I love the hand drawn feel of this one! 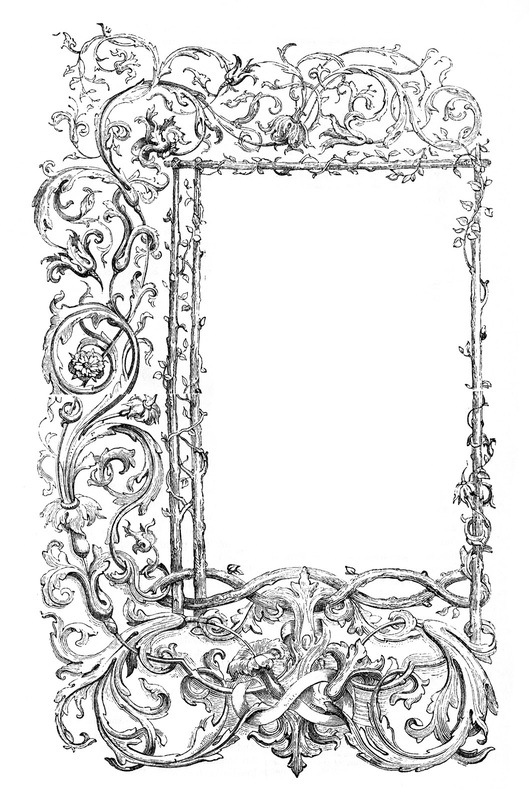 These lovely Free Fancy Frame Clip Art Images are embellished with loads of romantic leaves and scrolls! 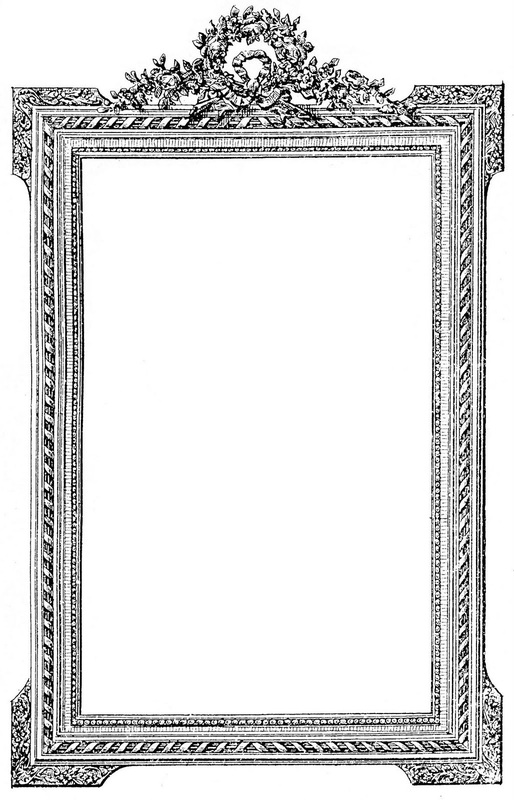 Here we have a Fabulous Decorative French Frame Image scanned from a Circa 1857 French Architecture book! 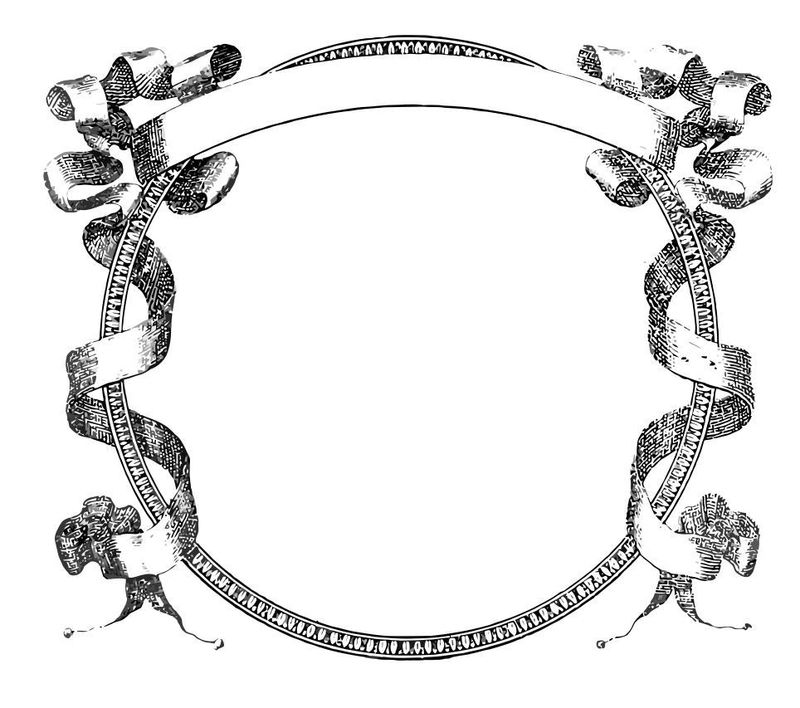 This is an ornamental decorative frame with romantic swirls and Acanthus Leaves on it. This book is actually from Emily’s collection. Thanks Emily! 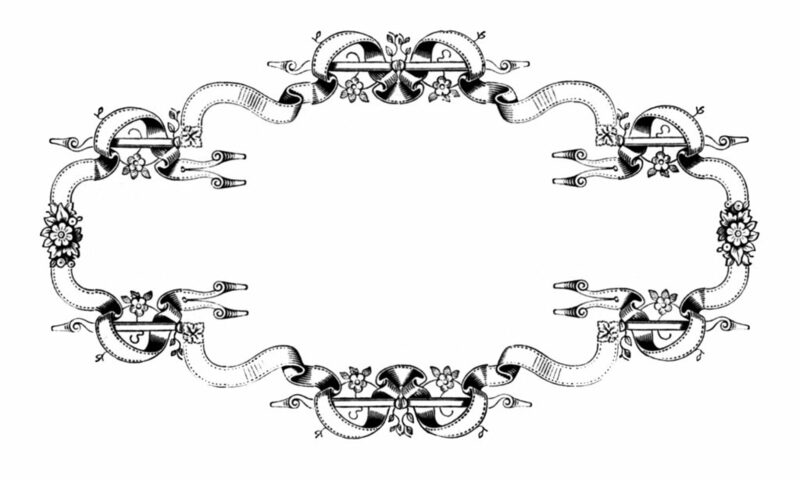 Here is another lovely Ribbon Graphic Frame from the 1870’s Printer Book. Such sweet details on these. 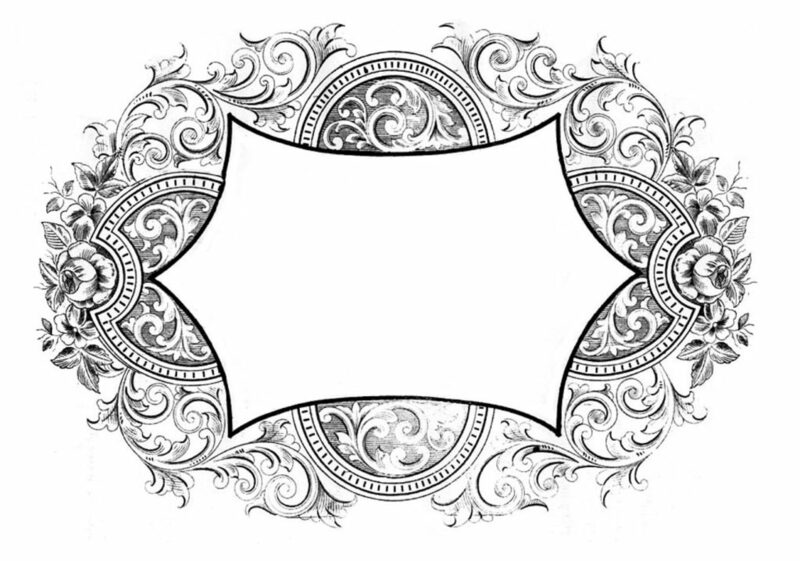 I hope you enjoyed this fun curated collection of 23 Frame Clipart – Fancy and Ornate!!!! You might also like our 50+ Best Blank Labels Here. These are so pretty and look great in all the different colours. Very nice. Thank you for making the different versions. HEY Congrats on 12000 Followers!! LOVE this! Just what I needed – thank you! Those are so beautiful! I need to tink of something to use them. Thank-you for sharing. So generous. Very pretty frame, Karen! Thanks for sharing it with us. Sherilyn, Yes, I just noticed! Doing a happy dance now! Lovely! I am already thinking of all the wonderful things I could use this for. Another lovely frame..Thank you, Karen! can you do in gold color? Hi Mica, I’m sorry I don’t do any custom work. You should be able to hire someone on Fiverr to create the color that you need for around $5. Or you can use a free program called Picmonkey to create it yourself. I hope that helps! 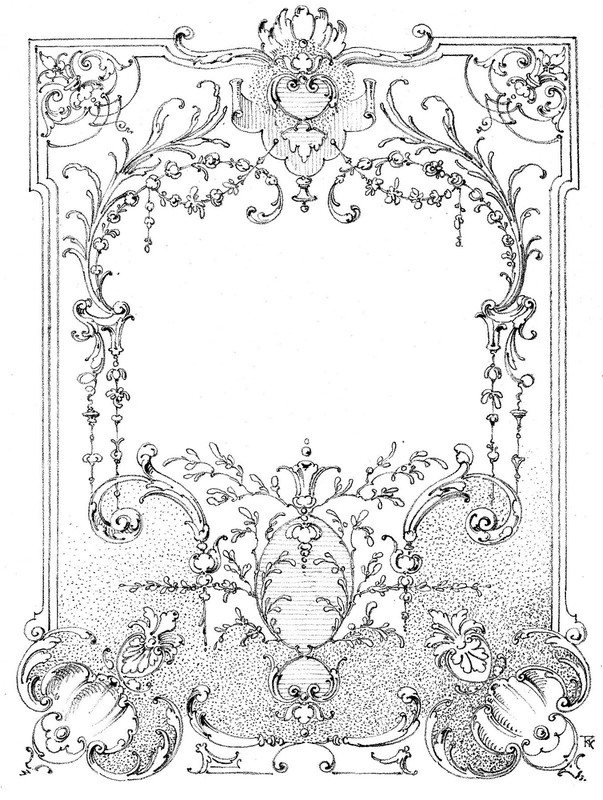 I’m so in love with that complicated frame that looks like lanterns hanging down & windchimes, hummingbird feeders and grapes & roses (“a wonderful page from a Circa 1880’s Poetry Book.”) I was going to ask if a higher resolution was available, but from the dates on the other comments it looks like it would be way too hard to dig up again, so I’ll just say I love it and thank you for finding and sharing these. Hi, I am glad to have found this web site and I am looking forward to using some of the great images that you have for us to play with.